More and more lovers of gems are fascinated by radiant blue color of noble beryl. “Santa Maria” – the so-called rare, intense blue aquamarines from the fields of Santa Maria in Brazil. Similar colors have gemstones from some oil fields in Africa, primarily Mozambique. 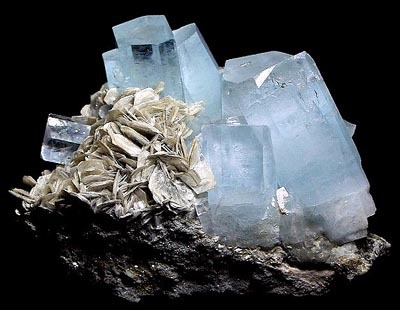 To better distinguish, these aquamarines are denoted as “Santa Maria Africana”. Aquamarine-maksis. Aquamarine with deep blue color. Color fades in daylight. Originally (from 1917) was mined only from the mine “Maksis” in Minas Gerais (Brazil). 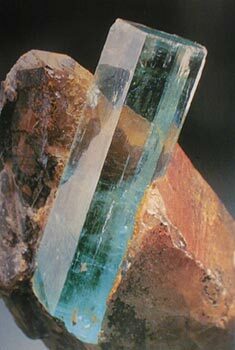 Fabulous Aquamarine﻿ is the official birthstone for those born in March. From the light blue of the sky to the deep blue of the ocean, Aquamarine shines over an extraordinarily beautiful range of mainly light blue colours. Fabulous Aquamarine﻿ is the official birthstone for those born in March. 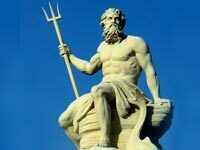 Ancient Romans believed that Aquamarine was sacred to Neptune – the god of the sea. The sailors used to wear aquamarine talismans, as protection against dangers at sea. Also there was a belief that the gem had fallen from the jewel boxes of sirens and washed onto shore.